Sunny California is known for having plenty of unique and wonderful aspects to take in. From enjoying year round produce, oceans, celebrities or a Los Angeles beach house, this is a place with something for everyone. Something that makes Los Angeles a great destination to is to visit is it can be a well-planned out trip or a great spur of the moment location. Busy working professionals and those with families who are often short on time might not have the ability to always plan everything in advance. With a trip to LA you don’t have to. LAX is such a major international and domestic airport that last minute deals can frequently be found and plenty of major highways go in and out of the city if you are driving there. Even though you might be excited for your vacation, many people still seek to have a mix of healthy food, fitness and relaxation. As you put together your itinerary for your awesome and hard earned vacation, here are some ideas not to miss out on. Started in July 1934, The Original Farmers Market is sixth generation owned and operated by the Gilmore Family. The markets boasts local food stalls, sit down eateries, produce markets and prepared food venders. Located just south of the CBS Television City, the market also has groceries, tourist shops and plenty of ready to eat food. The location is also a historic LA landmark, so don’t miss this unique place to stock up on lots of healthy and delicious foods. Depending on what you need to reenergize yourself for your vacation, you may want to consideration renting a private villa for a ‘staycation.’ Many people do not consider this option, but if you are going to LA to get away from all it, relax and live it up a little, what better way to get a taste of a different lifestyle than by renting your very own mansion for your stay. If traveling with a group of friends or splitting the cost as a family, you can be swimming the lap of luxury for less than you might think. Most of these mansions come with state of the art kitchens. If cooking is your thing, you can go to market on your first day, stock up with plenty of fresh goodness and retreat to your home away from home. From being tucked up into the hills to right along the beach, there are plenty of properties to choose from to get the most out of your stay. One of America’s most iconic roads, Sunset Boulevard has been taking people down this palm tree lined road for decades. Spanning about 22 miles in total length, you can either opt to drive the road yourself for the most budget friendly option, or you can choose to go on an organized tour. The advantage of driving yourself if you can save a few dollars and go at your own pace. The disadvantages whoever the driver is will really have to remain focused on driving. The road can get congested, so check the times you want to go and see how the traffic will be. The boulevard is also nicked named ‘Guitar Row’ given the large number of guitar and music related stores along the way. 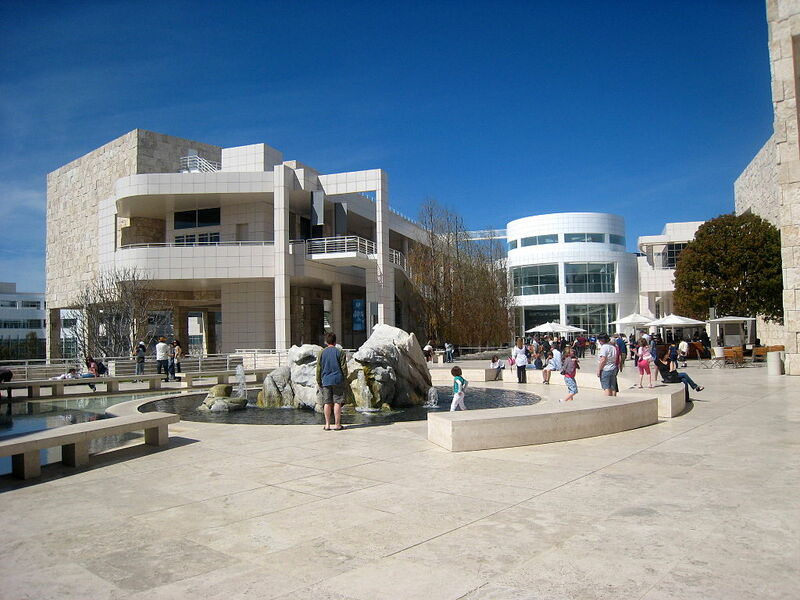 An envy of museums worldwide, The Getty Center offers outstanding installations as they have been the recipients of some very generous endowments. Here you can see the masters such as Renoir, Monet, Cezanne and Van Gogh. In addition there are also decorative arts, photography and a fine sculpture garden. Elegant dining is offered with views overlooking the Santa Monica Mountains and going on a tour is also an option. Best of all, the cost of admission is free. Tickets to Universal Studios aren’t cheap; however this is one of LA’s most popular attractions. Dubbed the entertainment capital of LA, this is the place to see television and film’s most popular shows. There are amusement type rides based on shows and movies like “The Simpsons,” “King Kong” and “The Mummy.” Give yourself plenty of time to browse the grounds so you can get maximum value out of your ticket. If you are in Los Angeles, this is the place to get the feel of Hollywood. Rodeo Drive is famous for the scene in “Pretty Woman” where Julia Roberts was walking down the road with lots of high end fashion bags under her arms. This is the place where big spending shoppers combine with window shoppers. As you gaze into stores and perhaps dip into a few, the price sticker might cause you to stop right in your tracks, but that starts to wear off as the day goes on. It can be a fun place to put on your best outfit and have a look at some of the biggest designer names in fashion. If you are coming from a hectic work schedule and life, planning a day at the beach at the start of your trip can be a great way to kick off your vacation. This Bohemian mecca has been attracting all different types of people for decades and is a great place to people watch. Body builders, runners and radical pamphleteers all converge in this area so you never know who you will see. Pack your own picnic to help keep this a low cost day. As you look for you next best vacation destination Los Angeles certainly has plenty of enticing and unique ways to spend your time. Don’t forget to pack those sunglasses so you can be ready for what each day brings.